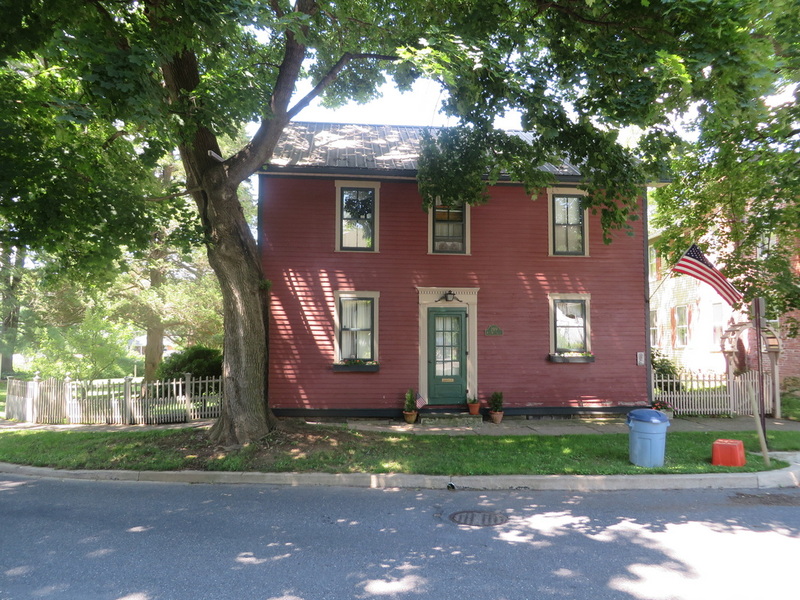 Margaret and Ralph Jessop are the present owners of the house and out-buildings built by Isaac Womer, a saddler, in the mid-1800s on Pitt (Main) Street in Springfield (Boalsburg). The house structure is vertical plank which extends from the basement to the attic. The plank was covered by the present lap, wood siding. The foundation is about two feet wide, made with mountain stone from Tussey Mountain just south of the house. The lumber for the lanking was cut from the A. Myers farm (presently the Bailey farm). Sand for the interior plaster was carried in buckets from the Sand Spring Trail (up the mountain extension of present day Academy Street). The stable was torn down in 1952 by Ralph Jessop and the outhouse was removed and recycled into a smoke house which is still in use. The chickenhouse, hogpen, and smoke house still stand on the property. Other well-remembered owners of this property were Samuel and Catherine Stover, William and Sarah Stover, Margaret Riley (mother of Helen Riley Tennis), William and Helen Riley Tennis, and Leah Smith from whom the Jessops purchased it in 1949.